Some of the most notable events in US history, from George Washington at Mount Vernon to the days of Prohibition and from impeachment hearings to nuclear weapons negotiations, all involved the consumption of alcohol at some point. Discover the role that alcohol played with Mark Will-Weber’s interesting book. Available from Amazon. The Boozy Baker is a fun collection of recipes by Lucy Baker for making cakes, pies, tarts, cookies and much more, all of which contain a healthy dose of alcohol. Home bakers will recognize classic treats such as peach cobbler and spiced Bundt cake, but reinvented with chocolate stout, almond liqueur and even Jagermeister. Featuring more than 30 full-color photographs, the book also includes sidebars throughout with instruction for preparing incredible cocktails to pair the desserts. Available from Barnes and Noble. Enjoy drinking cocktails with a sophisticated air? Consider trying a “novel” cocktail recipe. 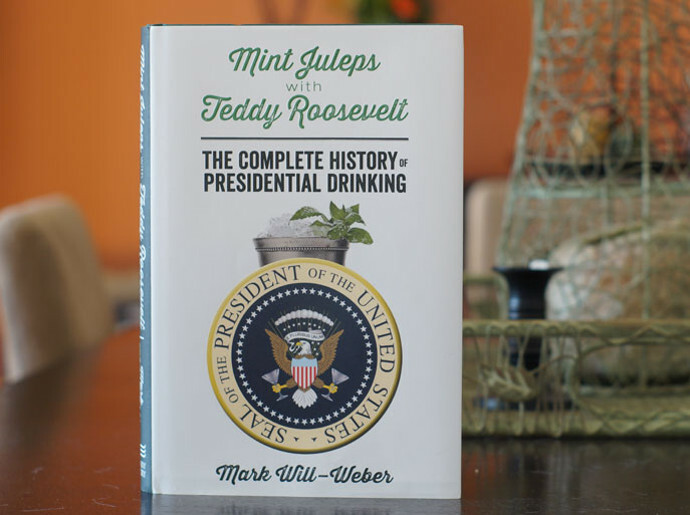 This book by Tim Federle adds in a bit of character to your next cocktail party. Enjoy the Gin Eyre, Vermouth the Bell Tolls, Gone with the Wine, and the Last of the Mojitos. These cocktails are served up with some historical commentary and sepia-toned illustrations. The perfect gift for the bibliophile who likes to drink! Available from Barnes & Noble. The book begins with an easy idea from David Solmonson; A complete home bar using just 12 key bottles, then using various recipes to combine these spirits into over 200 classic and unique mixed drinks. You will learn sours, slings, toddies and highballs, plus the perfect Martini, Manhanttan and Mint Julep. There are even a few surprises in the bottle list (Tequila didn’t make the cut and neither did bourbon), but consider this book a tool kit and recipe book all in one. Available on Amazon. Every culture on the planet has some sort of hangover cure, that magical combination of food that will take away the splitting headache and nausea following a big night out. Now those cures are available in one handy cookbook. A quick multiple-chose quiz will evaluate the severity of the hangover and then the book will direct you to the proper recipe for your ailments. Author Milton Crawford also adds a dose of history to these dishes. Consdier the traditional Tukish breakfast of eggs bhurji with fried bread, the Britain-inspired breakfast burger or a croissant with chocolate. Happy Hangover! Available from ModCloth.